His Royal Highness the Earl of Wessex has been the patron of CCMI since 2003, and was present at the groundbreaking of the Little Cayman Research Center. At that time, His Royal Highness heralded a dedication that remains today: to sustain the biodiversity of coral reefs so that children of the world may forever discover the treasures of the sea. On a subsequent visit in 2007, he launched the Ocean Literacy programme, the mandate of which is to ensure that “every child in the Cayman Islands is ocean literate by the time they are 12 years old.” To date some 1,000 children in the Cayman Islands have participated in the CCMI residential programmes. In his 2007 message, His Royal Highness said "As Patron, I am delighted to support the CCMI's vision and plans for the creation of the Little Cayman Research Centre as a permanent field station for marine research and education. If it helps just a few of us to understand and appreciate the most important issues facing coral reefs today it may well benefit future generations. As the plaque on the beach at Bloody Bay states, 'For the children of the world, so they may forever discover the treasures of the sea." 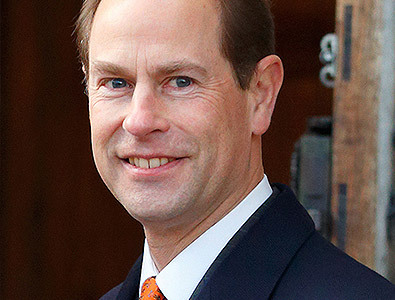 His Royal Highness The Earl of Wessex has visited the research centre on four different occasions, most recently with his wife, Her Royal Highness the Countess of Wessex in 2016. Each year, His Royal Highness the Earl of Wessex holds a dinner for CCMI, to communicate the current research themes to a intimate group of supporters, and further the orgnisaions’ mission.